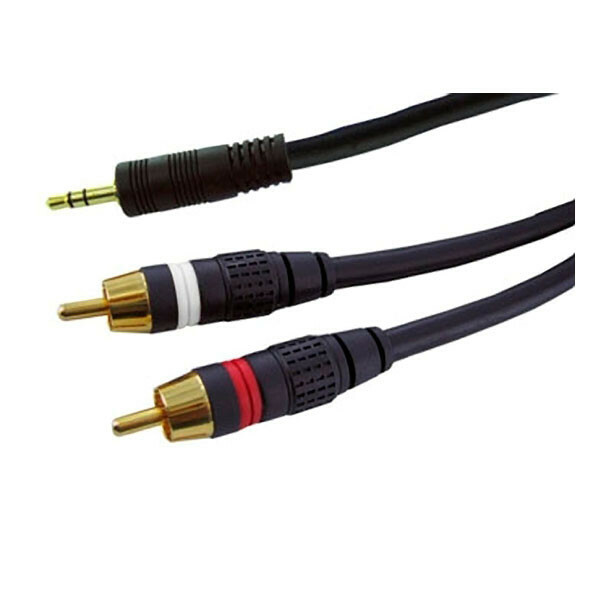 These Premium 3.5mm (1/8" headphone plug) to 2 RCA (Right/Left) stereo patch cables are what you need to bridge the gap. 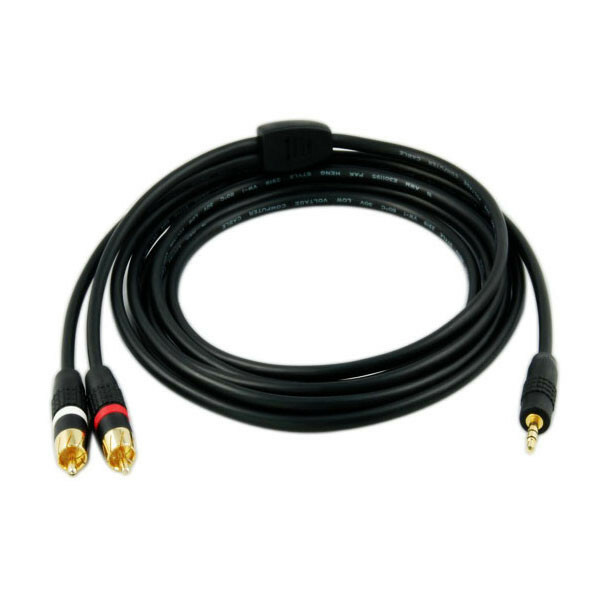 Simply plug the 3.5mm plug into the headphone jack of your device or computer and the 2 RCA's to the left and right auxiliary inputs on your sound system. Shielded to resist external signal interference.